It's so fun to have awesome couple friends! I have always had a pretty easy time making friends but it has been a little more difficult making COUPLE FRIENDS! That means both Hunter and I have to click with the husband and the wife at the same time with the same intensity:) We have some awesome couple friends already but who doesn't love making new ones? Hunter is lucky to have some amazing study buddies in dental school and their wives are even more amazing. I got lucky that he picked some good study partners! 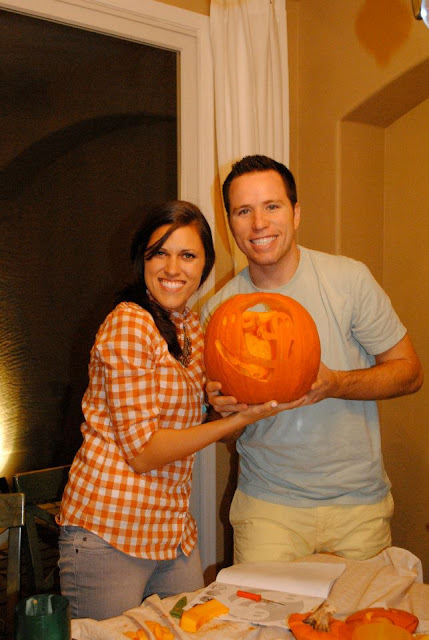 We carved pumpkins and played games and ate a lot of junk food. It was one of the best nights we have had in a long time! I love Halloween and I love cool couples! 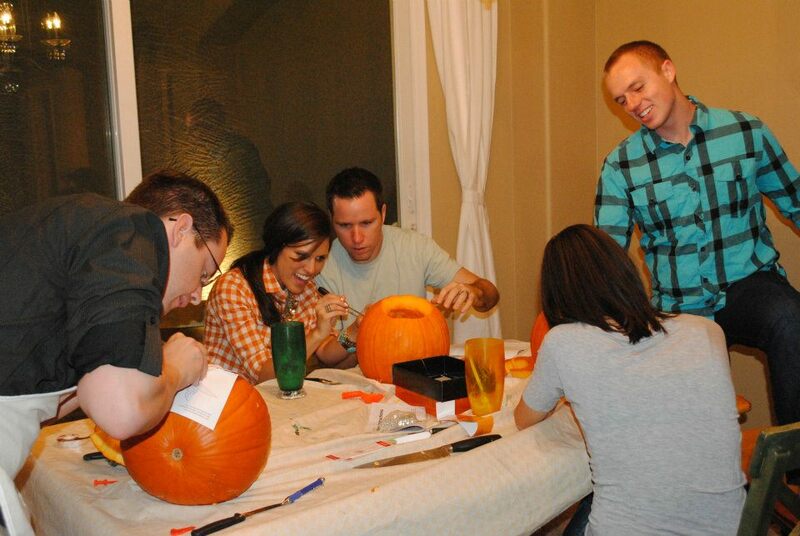 I look way to excited about pumpkin carving..
That was a great night, thanks for saving us with your tables and chairs, we wouldn't have been able to have everyone over without em. We should do something again as a big group next month! Oh and thanks for the awesome pictures too! Lacy! You are too cute!! I love your blog!